This chapter takes issue with Frank Jackson’s knowledge argument (the blind Mary) and David Chalmer’s famous Zombi-argument. What is important in the case of the knowledge argument is that even though theoretically blind Mary knows all there is to know about color perception, she does not know how it is to be in states of experiencing color. The zombie-argument is a conceivable argument, but it presupposes modal realism and a two dimensional semantics. Consequently, if you do not accept these presuppositions, then you do not have to accept the force of the argument. 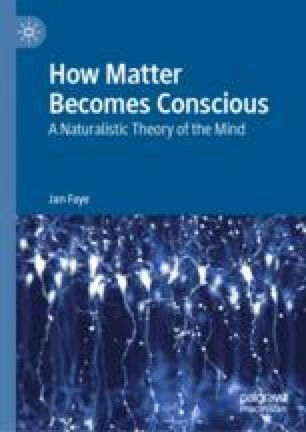 An evolutionary naturalist may argue that Zombies may be “conceivable” in a purely conceptual sense, because the mental is not defined in terms of the physical, or vice versa. However, Zombies are “not conceivable,” if one accepts the naturalist view of the mental as a natural phenomenon resulting from specific laws of nature.